Affordable Camper Trailer hire including option of full set up. Offering outdoor equipment hire for the whole family! 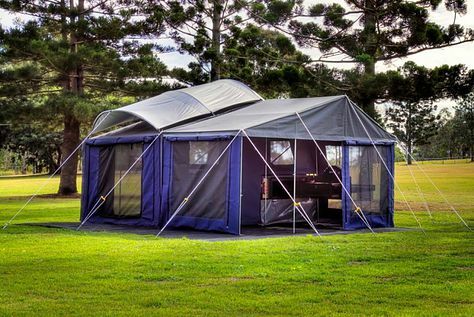 Easy Campers is a family owned small business based on the Gold Coast at Palm Beach. They are about making camping fun and of course , Easy! We had the pleasure of meeting Chris and Carol on a camping trip down to Yuraygir National Park. They are both the most down to earth easy going people who genuinely care about getting more Australians out of the city and exploring what our great nation has to offer. -Our type of people. They offer camper trailer hire but also most importantly the option to have them set it all up for you! All you have to do is arrive at your holiday destination on the Gold Coast and have the Camper Trailer fully set up so you are ready to relax and enjoy our beautiful beaches and creeks. If you enjoy a more active holiday you also have the option to hire our outdoor leisure equipment. Whether it be paddle boarding or kayaking! Easy Campers have also customized their camper trailer to carry two full sized dirt bikes in the front and a bicycle on the rack at the rear.